To kick off the series, let's get right into that good-good. "Coilovers are like high heels. Women look great in high heels, but ask them how comfortable they are." 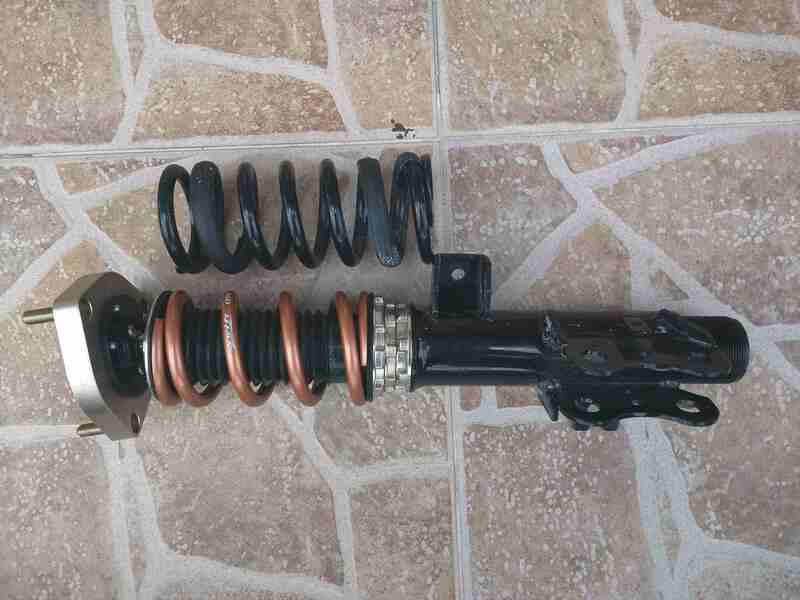 BC Racing is one of many companies offering a coilover suspension system for our cars. 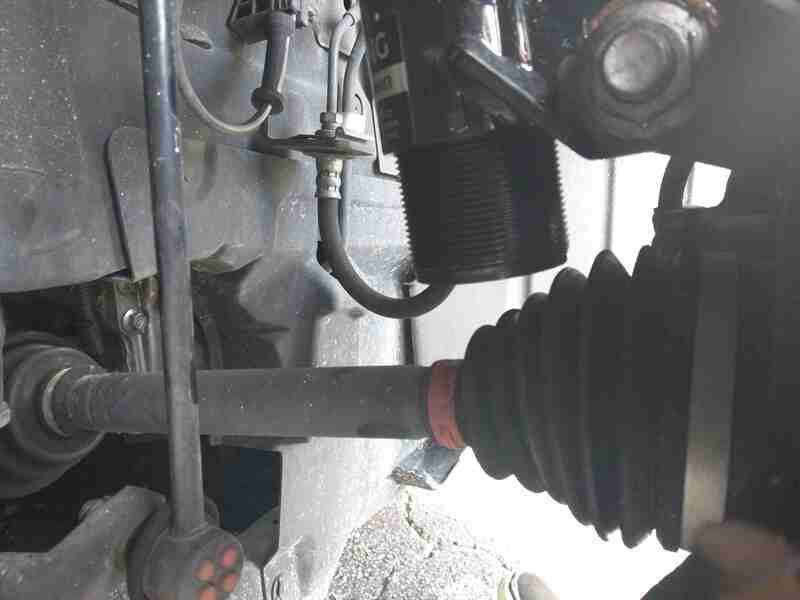 A coilover suspension is designed with adjustability and performance in mind. 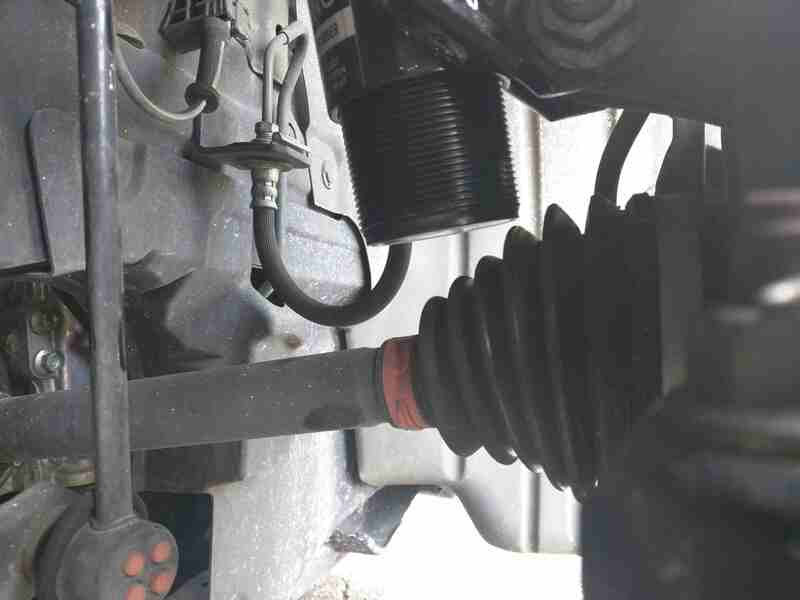 Through a series of locking collars, an owner can adjust suspension/vehicle height and spring preload, along with change out spring and shock rates for a full range of customization. Alternatives to BC are RS-R, AutoExe, Knightsports, and various other no-name brands. I've had the coilovers for a few thousand miles as of writing this post. Out of the box, they look and feel gorgeous and sturdy. I would not worry about build quality with these. Everything was packaged nicely. Install will be touched on later. With 32 levels of adjustable dampening, one can truly tune the car to float around and get tossed in corners, or tighten it up and feel the crispness of reduced body roll. This adjustment can be made directly underhood. In addition, the front plates can be adjusted for camber. 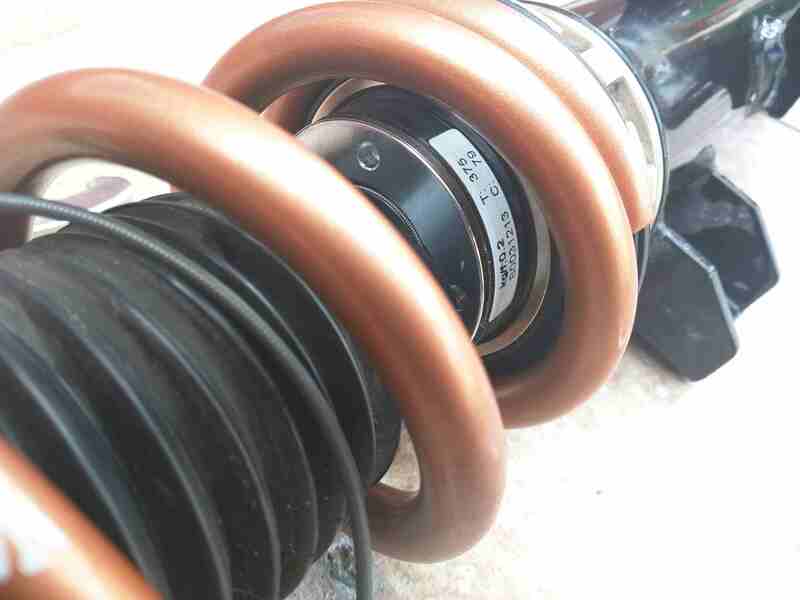 The stock springs can be easily swapped out for 65mm Swift Springs for increased comfort and driveability. Their stock drop isn't very low, as in, not what you would expect out of a thousand dollar coilover setup. If you're just looking for low, Corksport or H&R springs will give you low. However, this can be corrected with alternate springs. It is not suggested to buy the Swift Spring upgrade, as you may not get the height you want stock. Other points of notice is that not everything is torqued from the factory (in my experience). Be sure to check your top nuts on the front coilovers. Also, the locking collars are haphazardly set. 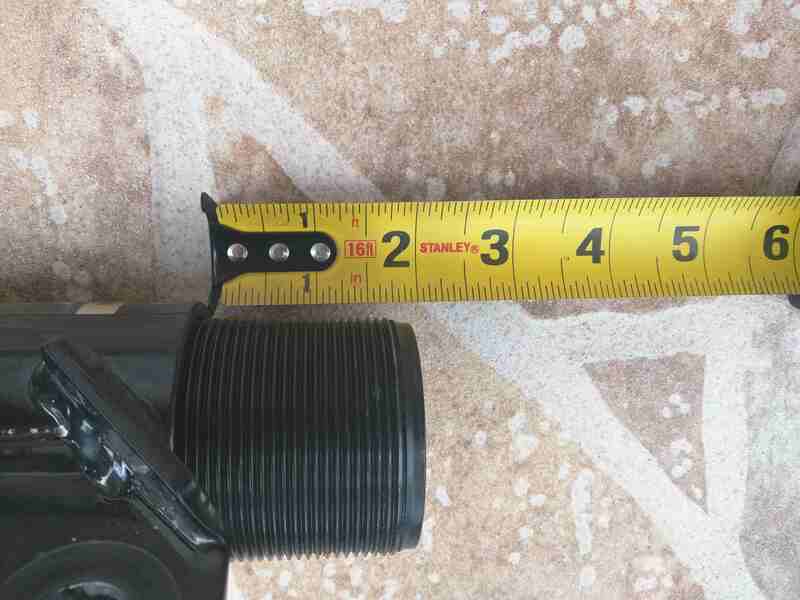 Make sure you measure and adjust during install. For the camber, one cannot use the full range of adjustment due to little clearance on the top mount point. Not BC's fault, but their camber plates are basically parts bin plates. 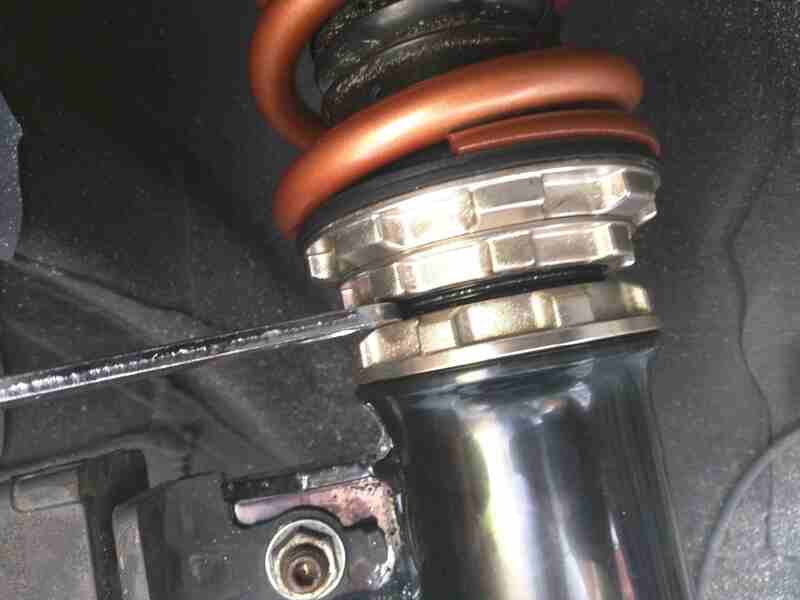 Along with that, camber cannot be adjusted without completely taking out the coilover from the top. 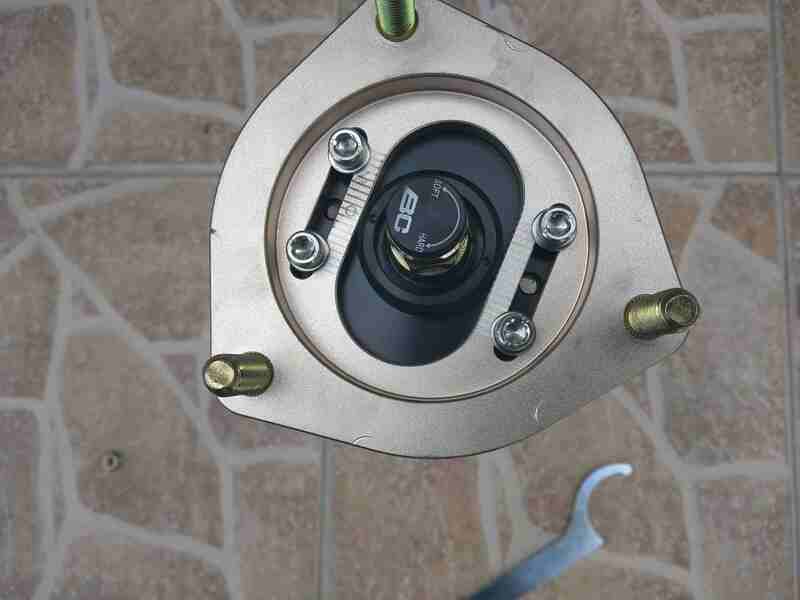 The rear shock dampening cannot be adjusted without jacking up the car, or even removing the wheel depending on how low one is. Lastly, the front brake lines don't mount to the coilover. The metal is forged too thick and requires zip ties. Easily done by the average DIYer. Will take probably four to six hours overall. I would say thirty minutes per front corner, 20 minutes per rear corner for an experienced DIYer. I would allot a half day to full day for someone who has never done coilovers before. Making sure everything's tight, test driving, height adjusting, camber adjusting, etc, is all time consuming. If one wishes to get to any level of dumped status, it's best to just slam your camber negative as far as possible, and get it aligned later. Clearance and all that. During install, I found that these things are very finicky with torque specs and tight collars. Take your time and go slow, and no issue. Randomly, one of my top nuts worked its way loose while I was adjusting the collars for the spring on the passenger front. Added an hour and a half to that job, but haven't run into issue since. Overall, these are excellent coilovers. Despite the long list of what's not nice, all of that can be worked through. After riding on the coils for a while, I don't have any regular issues. They don't require regular maintenance to me outside of cleaning them and spraying out the collars with air. I have my height set and I'm happy with where it's at. 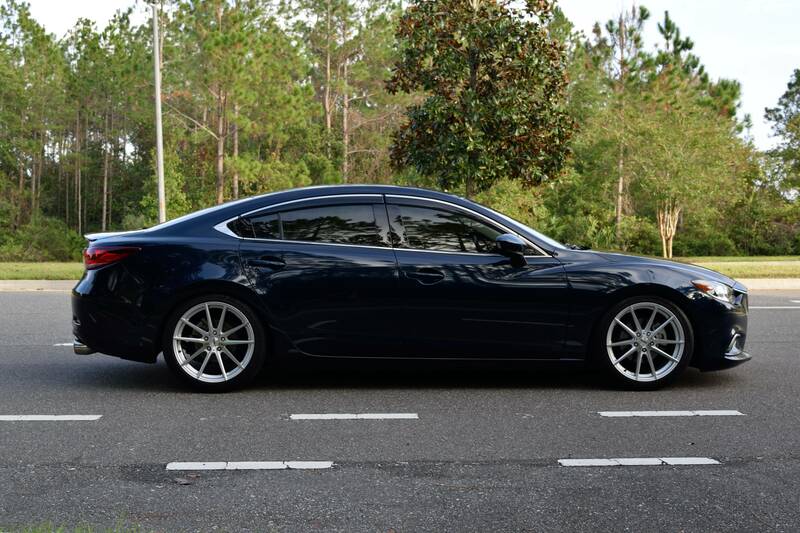 I would recommend these coilovers to a friend, but only because they're an American based company that'll allow you to get replacement parts easier than from, say, AutoExe or RS-R.
Lastly, the front brake lines don't mount to the coilover. The metal is forged too thick and requires zip ties. I just got these coilovers yesterday and put them on (front only so far, didn't have time to put the rears on). But I had the same problem, I just took a file and widened the hole a bit and was able to put the line inside. once inside the factory locking clip slid on and locked it perfectly. So it was not the thick metal in my case but just the hole was too small. Could have used a dremel with a sanding drum as well. But... I did manage to break one of the little plastic clips holding the abs speed sensor to the shock so that I had to zip tie. Seems like that part is not available for purchase separately as well. Just the whole assembly which costs ~$40 (Part # B45A4370XA). So best to be careful & patient with the plastic parts. I've had a set of BR coilovers installed for months now. Good quality, car looks good, BUT They are NOISY!!!!!! After weeks on end of troubleshooting with BC Racing tech support in which they replaced even the shock bodies, the noises continued. I even upgraded the end links, and still. I started questioning my install, so I took the car to a local racing shop. After paying a fee they confirmed that there were no loose components and everything was properly torqued. So my installation was on point. HERE'S THE CULPRIT: BCR employs standard (metal-on-metal) pillowtops. 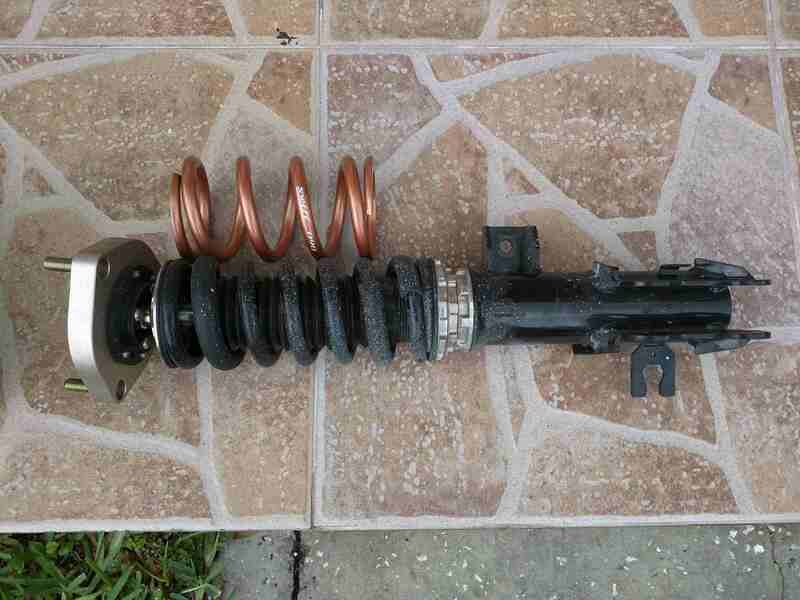 That means that as the shock flexes over bumps and road imperfections, the metal components meet on the return cycle. This causes the SUPER ANNOYING old-car knocking sound coming from the top corners. I couldn't believe it. I even spent on a HD action camera to film the top nut to see if it would move up and down while driving (it didn't). 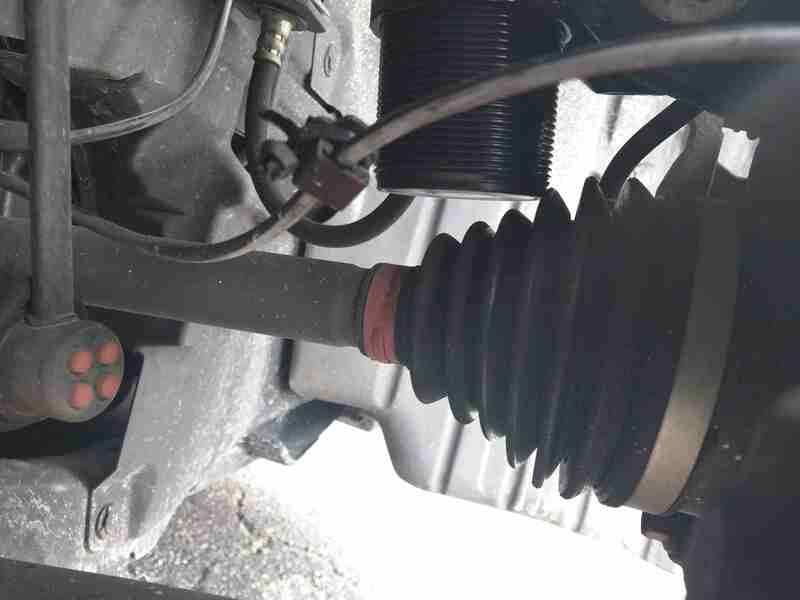 I know that coilovers are noisier than stock, but not like what I have been experiencing. For example my brother has a set of basic Megan Racing coilovers on his car and the ride is MUCH quieter than mine. 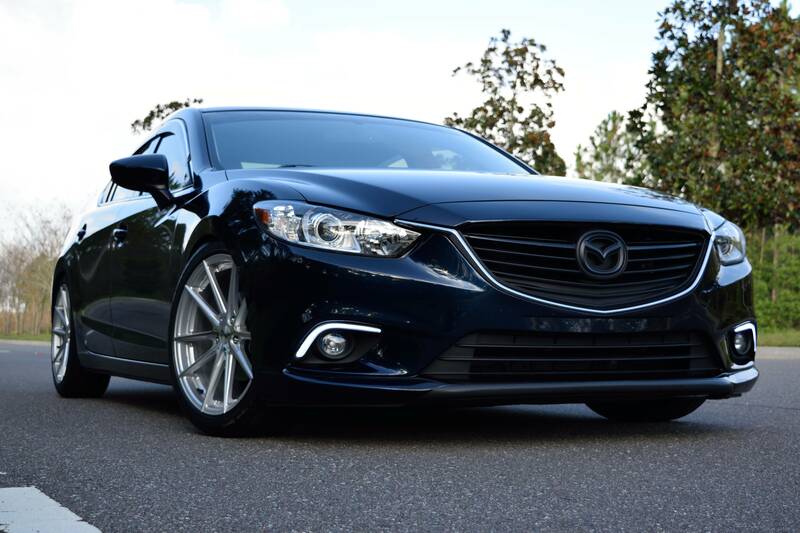 SO at this point I'm considering buying a set of H&Rs (Coilover Kit 28824-1 for Mazda 6). Are you getting noise from the front and/or rears? 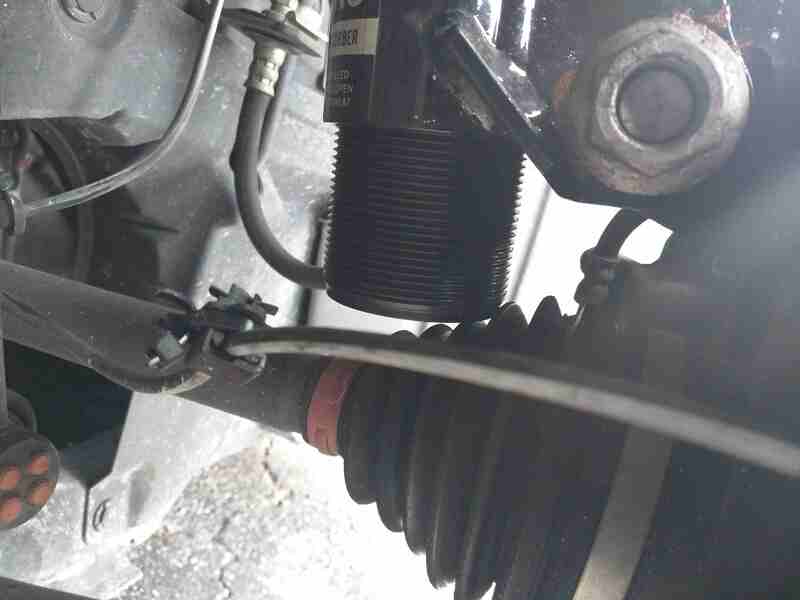 I would double check the sway bar links since they can appear to be tight depending on how the suspension is pushing on it and may not allow you to thread the nut all the way. I had the noise problem on the passenger rear. I replaced the suspension back to stock, hoping to hear something... Nothing. Muted ride as new. I re-installed the BCRs and the noises came back. That was last weekend. Noise is from top front corners over small and big road imperfections. However, the rears get a big clunk when going over larger bumps at speed. I talked to BCR today. They asked me to send pictures and videos. They think it may be the bearing casing going bad. I'm not sure. Keep us updated if you find out a cause, I'm gonna be taking out the fronts next week to put smaller springs, hope everything stays noise free. Also, I know you said you filmed the top nut and it didn't move but did you try tightening it down? Yep, will keep you updated. As far as the top nut it is TIGHT. I even used a low impact and it is definitively secured in place. Ok, Probably the last update I may do for a while on the coilovers, here's some information to add to Zeffer's original review. I bought shorter Swift Springs, went from BC's 7.87" (200mm) 62mm ID 7k to 6" (152mm) 65mm ID9k. Set with 4mm preload, no camber adjustment. First I put all collars together (as low as possible) but realized that the bottom of the shock cartridge makes contact with the cv boot. Raised it 4mm, the width of the socket, and looks good through the whole suspension range now. Also, one of the pictures you can see the top of the shock cartridge after installing the 6" springs, notice there is no more thread available to put shorter springs, so with the stock BC cartridges this is as low as you are going. Forgot to take pictures of how it sits now, will do that later and post them here. so, basically if you want to go as long as corksport, you can't do it unless you buy their recommended and probably advertised springs? Depends if these are regular bc coilover or their super low variant.